Ward Eight, in its prime years, was the epicenter of state-of-the-art medical care in the US. Located on the third floor of the now closed Walter Reed Army Medical Center in Washington, D.C., Ward Eight featured the latest technology, the best specialists, and intensely focused service — the list of its patients included the most distinguished government leaders of the time. Composed of a number of suites, including the large presidential apartment, Ward Eight had the atmosphere of a hospital within a museum: portraits of such luminaries as George C. Marshall were prominently placed on the walls. 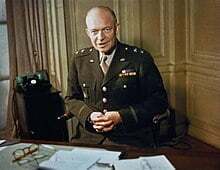 It was in that august setting on Friday, March 28, 1969, just after noon, that Dwight David Eisenhower, one of the true lions of the twentieth century, was breathing his last. His deathbed scene was what one observer later described as a true Eisenhower moment. Earlier in the day, he had requested that “the bulldozer,” as Ike termed it, be removed from over his body — tubes, wires, all hooked to a large life support machine that covered him up to his neck, a swollen metal blanket that flashed with lights and monitors. As death approached, he gave two military style orders to those in the room — son John, grandson David, physician Leonard Heaton — to shut the blinds and hoist him up into a sitting position against his pillows. His wife, Mamie, drifted in and out, tirelessly keeping the vigil. In a direct, forceful voice, he said: “I want to go. God take me.” Shortly thereafter, he fell unconscious. By 12:25 p.m., he was dead. It took seven punishing heart attacks and fourteen episodes of ventricular fibrillation to fell this titan. Five days of ceremonies followed Ike’s death – throughout, he was ensconced in an $80 government issue Army casket, dressed in his uniform, a soldier to the end. On March 30, the 34th American President was placed in the Capitol Rotunda for public viewing. Over 40,000 ordinary citizens filed by to pay their respects. 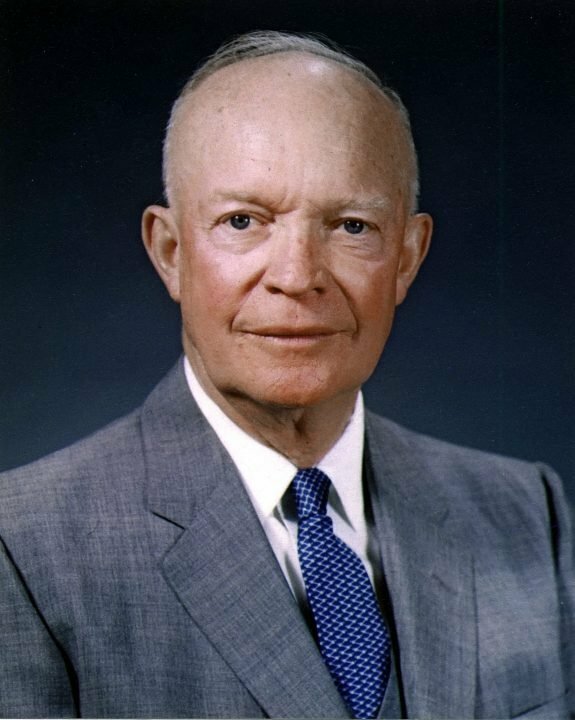 In this day of bitter partisan division, it’s hard to imagine the almost across-the-board love and respect Eisenhower had: during his eight years of his presidency, he averaged a 64 percent approval rating. Ike was named most admired man in the annual Gallup poll 12 times, including the two years prior to his death. Probably the most insightful indicator about how respected he was actually came years earlier when Ike returned to private life after a spectacularly successful military career: both political parties wanted to recruit him to run for office. At one point, Harry Truman offered to take second spot on a Presidential ticket with him. One of the saddest individuals in those cold spring days of 1969 was the then occupant of the White House, Lyndon Johnson. Throughout LBJ’s term, he had consulted closely with Ike — the two had differing political views on every subject, but they liked each other personally. Johnson grew dependent upon Eisenhower’s emotional support, as the rest of the country backed away from him. On April 2, 1969, after a cross country train trip, Eisenhower was laid to rest in the Place of Meditation chapel on the campus of his Presidential Library in Abilene, Kansas. Ike was situated near his first son, Doud Dwight (“Icky”), who died tragically from scarlet fever at the age of three. Mamie joined them following her death on November 1, 1979. What was it about him that made him so popular for so long? Perhaps it’s because Ike’s image was not an image — what you saw in him was what you got. He preached and lived by a creed of persistence, hard work, and thoroughness. A man of deeply held principles, he read the Bible by the age of 12, always refused to attack his opponents on a personal level, and believed extreme positions were wrong by their very nature. Ike steadfastly refused to criticize his successors — John Kennedy and LBJ – on foreign policy. He thought it was important that the nation speak with one voice: even though he disagreed with their actions, particularly in Viet Nam, he kept it to himself. Eisenhower did not like war — significantly, he did not support the use of nuclear weapons in Japan in WWII. Ike thought they were unnecessary to finish the conflict. In his farewell address to the nation, Eisenhower warned of a military industrial complex that was developing in Washington.